Singing, a photo by sundero on Flickr. 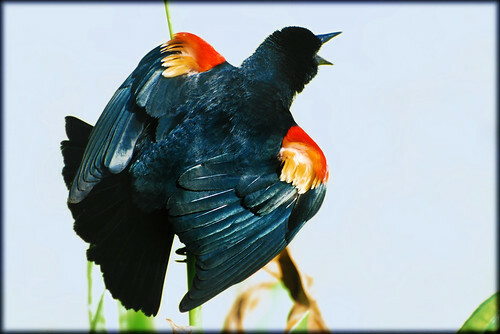 When I see Redwing Blackbirds I’m always reminded that it’s spring! I love their beautiful trilling song, and I love the flash of red on their shoulders. I am working on a few things, but today, I hope you get outside and enjoy, because, it’s SPRING!